Over the past year, there has been a lot of discussion about conspiracy theories in the mainstream media and elsewhere. The concept of “truth” in a broad philosophical sense and “fact” appear to be fragmented. Can anyone appear on what is true and what isn’t? But this hardly appears to be anything new, as conspiracy theories have been around for decades. Conspiracy theories are generally defined as implausible explanation toward novel events, normally involving medical, political, or social events. Some noteworthy conspiracy theories are: the assassination of JFK was coordinated by the CIA, HIV/AIDS isn’t real, the 1969 moon landing was fake, and 9/11 was an inside job. These, of course, are not all conspiracy theories, but they remain illustrative. These are not the only possible negative outcomes of conspiracist ideation, but they remain some of the major ones. 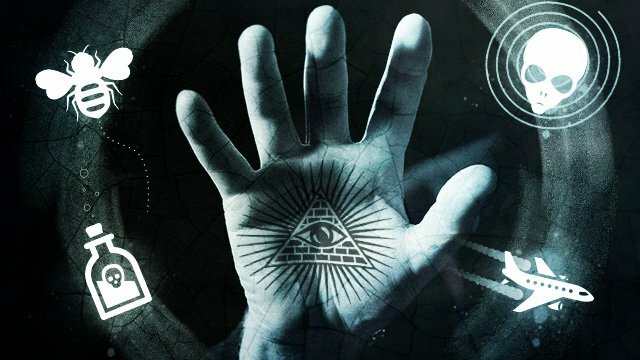 Individuals who are prone to believe in conspiracy theories tend to have a higher “need for closure” (NFC) than other individuals. NFC is the cognitive phenomenon where an individual may “seize and freeze” information. “Seizing and freezing” information is the process by which a person may immediately jump on an explanation—however unlikely it may be—and hold on to that information as the only possible explanation for that event regardless of other contradictory evidence. Other cognitive traits that may relate to conspirist ideation is “intolerance for ambiguity” and the “conjunction fallacy.” Intolerance for ambiguity is when an individual has a difficult time accepting that unclear definitions or categories may exist. This is what is generally called a “black or white” outlook, where one refuses to accept any gray in life. The conjunction fallacy is “a specific error of probabilistic reasoning whereby people overestimate the likelihood of co-occurring events.” In other words, there are no random events—intent permeates everything. Finally, as psychologists and researchers continue to probe how conspiracy theories form, what individuals may be more prone to believing in them, and the potential harmful outcomes (such as HIV/AIDS denialism) of believing in such ideas, conspiracy theories are likely to continue. More research is needed to tease out the specifics, but what is known now is that conspiracy may not be amusing thoughts about the world, but they may cause harm in the long run.